This is a re-post of a lesson from Integrated Marketing Communications at St. Catherine University. It was originally posted in the private class blog. As much as we live in an online world, paper still has a place. Everywhere I go, I bring a couple of business cards. To the conference I presented at recently, I brought a 2 inch thick stack — just in case. I came back with half, but that means I gave away that many, too. Order some business cards. Vistaprint.com regularly discounts business cards. Click here for details. Step 1: Choose a design. Here are some snapshots of professional, unprofessional, and borderline-professional designs. As a rule, consider anything “cutesy”to be unprofessional. The “borderline designs” are industry specific. It’s not that they are unprofessional, it’s that if they don’t apply specifically to your desired employment, they are no longer professional. Then start filling in your information in various blanks. Put text where you want it to appear on the card. I.E. I put my phone number in the address line because that’s where I wanted it positioned on the business card. Once you are satisfied with the placement of your information, proof it. Double check it to make sure you did not put the wrong phone number (651 when it should have been 612 for instance) or email address, etc. Then click on “Back side” under your design. In this example, I selected “Full-color printing from $12.99” and added some text. In the next example, I selected “Gray Scale Printing $6.99” and then chose “Using Your Photos and Logos” at the bottom of the list. I selected the design option on the right with text above and below the image. In the meantime, I had to decide what to put in that “photo/logo” space. This card is about ME, not my company, not my hairstyle (so no photo). Its purpose is get my contact information in the hands of potential clients (for me) or employers (if I were you). 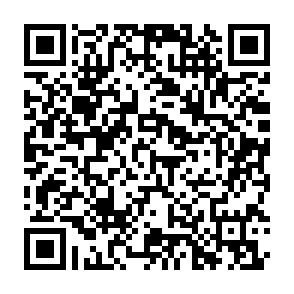 If you have a smart phone with a QR reader app, scan this code. Where will it take you? Nowhere, but it will upload St. Catherine University’s general phone number into your smart phone. Instead of making people type in your contact information into their smart phone, include it in a QR code on the back. Choose your code type, in this case “Contact Information” and then fill in the blanks. Click the button “Generate QR Code” and save the .png file to your computer. Back on Vistaprint website, click on the square on your back design and choose edit. Then “browse” your computer for your QR code .png file and upload that. You’ll notice in the image to the left, that I changed the text on my card back, as well. While you’re at it, double click on the text areas on the card and then you can highlight that text and choose from a list of fonts and styles. Then, click the “online proof approval” button and then the “next” button. Shipping with Vistaprint is expensive. When they say “slow” takes 21 days, it does, so if you plan on ordering business cards for the Career Fair, you’ll have to order them with slightly faster shipping. Then, “click Next” a lot. Vistaprint will try to up sell you many, many wonderful items. It may take you 6 clicks to get to the final check out page!